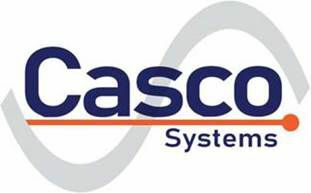 Casco Systems developed a new integration platform utilizing the IEC‐61850 standard for the Maine Power Reliability Program (MPRP). During this muli‐year, $1.4B project Casco developed standards, programs & systems for multiple 345 kV, 115 kV, and 34.5 kV Bulk Power Transmission Substations. Casco was responsible for all substation integration including the local Station HMI, SEL‐RTAC RTU, multiple transformer monitoring IED’s, and IEC‐61850 GOOSE / MMS Message Configuration. To date Casco has completed seven bulk power 61850 staions and muliple tradiional remote end upgrades. This platform has advanced features and limits the use of hardwired interconnects and devices, moving all but the most critical tripping and sensing “onto the wire”. The end result is an advanced protection and control platform with a much simpler (and lower cost) hardware design. The project included advanced features like equipment monitoring and data logging, fault event record automatic retrieval and storage, breaker & switch operation event logging, Cyber Security and remote HMI access.